I got inspinsired by this delicious cake. 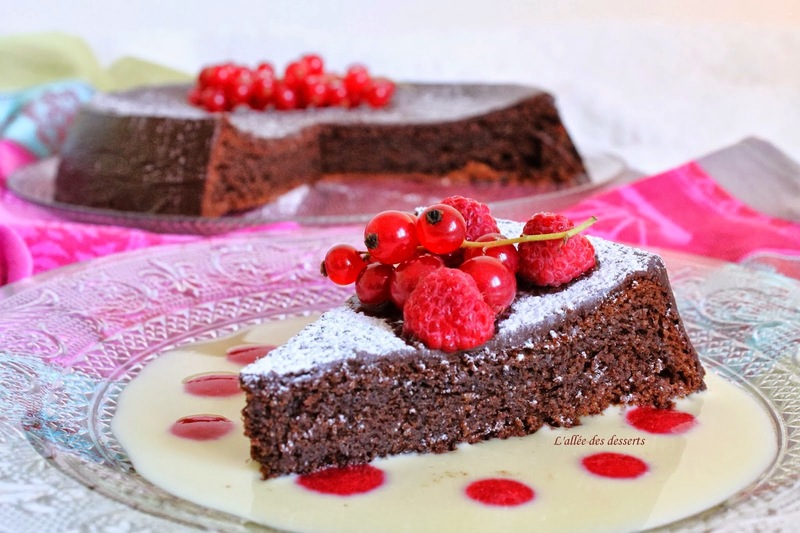 I deciced to bake this soft chocolate cake Monday and it was so good! This cake is soft and enhanced by it's chocolate icing. Then you mix the melted chocolate and butter with the eggs and sugar. After you mix the baking powder and flour. Put the cake in a 24 cm diameter form and put it in the oven for around 35 minutes.